Judge Edward K. Gould, former mayor of Rockland, died at his home on Masonic street last night after a long period of illness, marked at the close by several months confinement to the house. He continued his duties as an attorney, and in a federal position until failing eyesight and physical infirmities compelled his retirement. 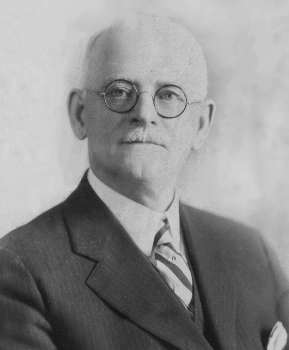 Judge Gould was born in this city, Sept. 25, 1865, son of a Civil War Veteran he early became a member of the organization, now known as the Sons of Union Veterans of the Civil War. 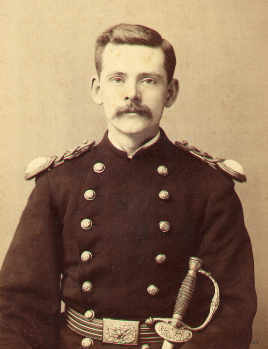 Active service in Anderson Camp was followed by his rapid rise in the Department of Maine, in which he eventually became department commander with the rank of Colonel. The organization grew by leaps and bounds under his leadership. He published the Atlantic Vidette in the interests of the department which he subsequently served for quarter of a century as secretary-treasurer. He was an active member of the Maine Society, Sons of American Revolution, and had served as its State President. In his veins flowed the strong spirit of patriotism which had endowed his ancestor. He was for many years connected with the National Guard and when the Spanish War broke out he raised a battery of heavy artillery with 160 men enrolled. It was accepted by the Governor and assigned to the Second Regiment, but the duration of the war was so brief that the call for its services did not come. Judge Gould was admitted to the Knox Bar in 1888, and his election to the office of city solicitor the following year signalized the beginning of a long and active political career. He served as Knox County Register of Probate from 1893 to 1891, and later was Judge of the Probate Court for four years. In 1901 he was elected mayor of the city by one of the largest pluralities ever given to any mayoralty candidate in this city. He served two terms, marked by harmony, economy and progressiveness. It was during one of these terms that his administration secured the gift of Carnegie Library, which may well be recognized as one of the monuments to his service as mayor. His most official duties were in connection with the Federal Archives project. Judge Gould had served as State historian. History was a subject which interested him tremendously and throughout his active life he had made valuable contributions to it. Judge Gould was a past master of Aurora Lodge, F.A.M. past thrice illustrious master of King Hiram Council, R.S.M. and had served as grand standard bearer of the Grand Lodge of Maine. He became a Knight Templar in Claremont Commandery, K.T. March 15, 1897; was eminent commander in 1913, grand warder of the Grand Commandery in ’15, grand military instructor in 1918, 1919 and 1920. In 1922 he was elected junior grand warden, passing through the several grades until his election as grand commander of the Grand Commandery in 1927. He was also a past grand master of the Grand Council of Maine, R.S.H. Judge Gould’s interest in Masonry was similar to what he displayed in the organizations of which he was a member. He was not content to be merely a member and a worker. His aspiration called him to leadership, in which he always served with distinction. It is difficult to conceive, in view of these many affiliations of busier life, but though it all Judge Gould never departed from his calm serenity. Loyalty to his friends was one of his outstanding traits. 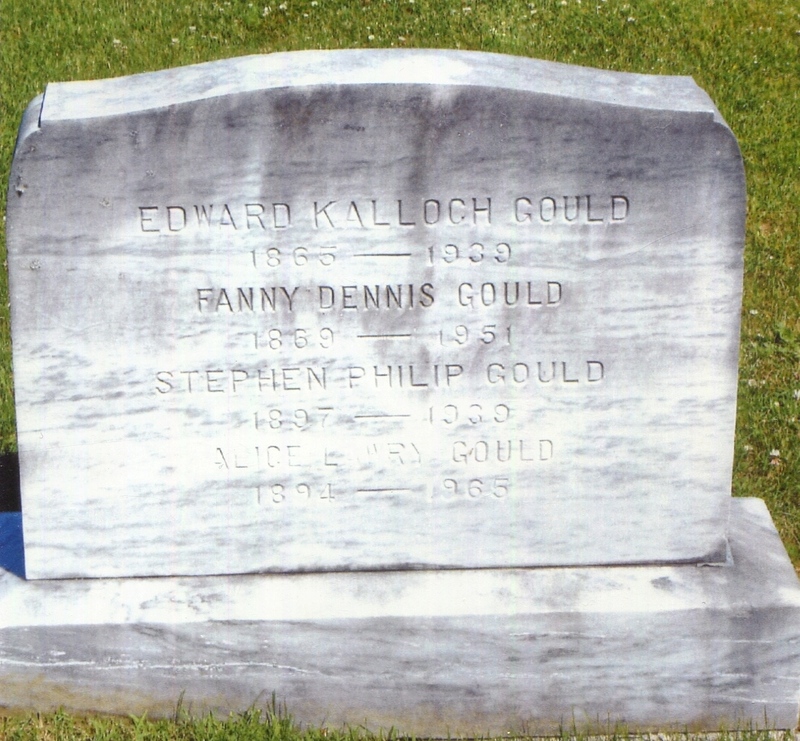 Judge Gould is survived by his wife and two children — Charles D. Gould and Miss Marguerite Gould. The sudden death of his elder son Stephen, in Washington, D.C. during the summer was a very sad blow to the invalid father. Burial at Achorn Cemetery, Rockland, Knox, Maine.